The proceedings of this workshop have been published in a special issue of the journal Discrete Optimization. With support from the Mathematical Sciences Department of IBM Research, for the travel of early-career researchers, and from SAS Operations Research & Management Science. Mixed-integer programming (MIP) has entered a fourth, and critical, phase. The initial phase of development, beginning in the 1950's, identified some core methodological and modeling techniques, and discovered the inherent complexity of combinatorial problems. The second phase (late '60s through mid '80s) embarked on a primarily methodological path, which paralleled, in a smaller scale, that taken by the Theoretical Computer Science community. The third phase (1990's) used the methodological developments of the prior decades to obtain software implementations far superior to any available before. We are now in the fourth phase, which recognizes the (often stunning) implementational successes recorded in the last ten years, while also acknowledging the fact that much more methodological work is needed. In this phase, building bridges to other areas of mathematics is an important component. Nevertheless, MIP now constitutes a unique computational science: it attempts to routinely solve problems that are fundamentally intractable and that arise from many applications, and it does so by blending mathematics, ever more sophisticated implementations, and innovative modeling. 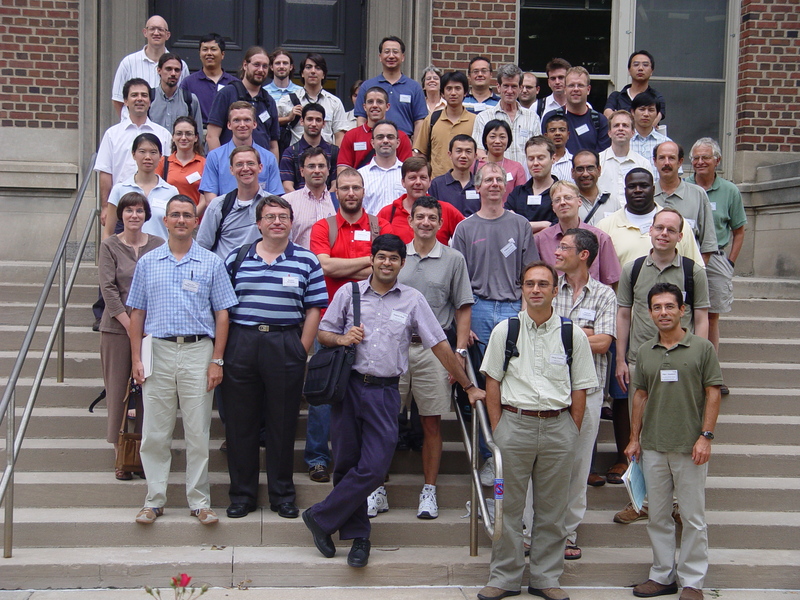 This meeting will bring together many of the leading researchers in both the theoretical and computational aspects of MIP to highlight recent advances, foster interaction and collaboration, and to discuss how to expand the role of MIP in several potential high-impact application areas, such as network design for the Power Grid, and applications to computational biology and cryptography. Manoj Chari Analytical Solutions Division SAS Institute Inc.
Matthew Galati Analytical Solutions Division SAS Institute Inc.
Jennie Hu OR Department R&D SAS Institute Inc.
Yan Xu Analytical Solutions Division SAS Institute Inc.